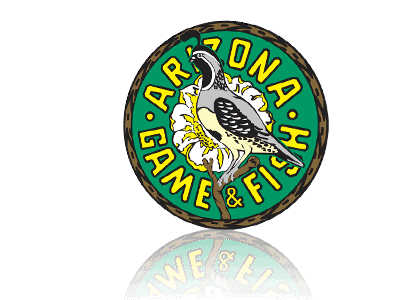 This week, the Arizona Game and Fish Department released regulations that might interest you. The Brownells “Big Book” Catalog #71 is now shipping to gun shops, gunsmiths, and gun enthusiasts. The annual Steppin' Out event in Blacksburg took place in 10 and 11 August in Virginia. Protesters went too far. Two out of three judges in California have ruled design requirements that no manufacturer can meet, and The National Rifle Association and the Second Amendment Foundation have filed a suit against the city of Edmonds, Washington. A Blue Ribbon Panel on School Safety alerted that Los Angeles schools are not meeting safety measures. A must watch. 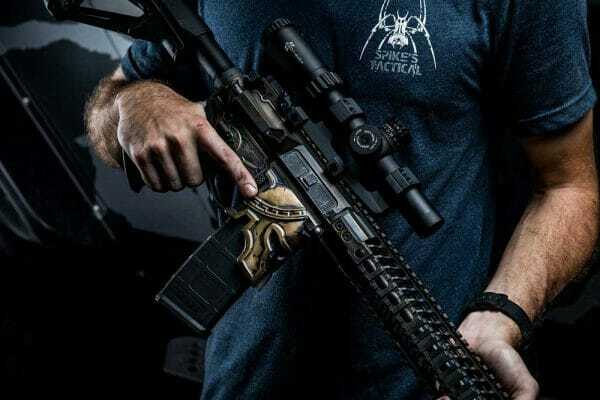 Spike’s Tactical, a Florida-based gun and weapons manufacturer, will begin selling the Spartan AR-15 rifle lower receiver. Because your rifle deserves an upgrade, check our reviews for the best interchangeable parts for your AR-15 and AR-10. Also, check our complete guide on AR-15 lower receivers. 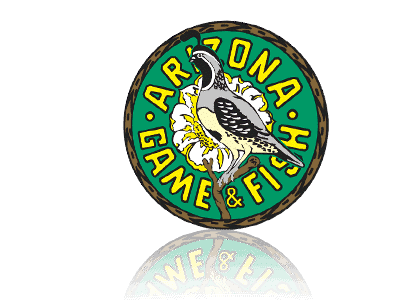 The Arizona Game and Fish Department has posted the 2018-19 Arizona Dove and Band-tailed Pigeon Regulations. You can access all the information here. These regulations were written in the most convenient way for hunters in the field. They are easier to read and feature important hunting information. Check for season dates, legal requirements, daily bag and possession limits, and much more! The Brownells “Big Book” Catalog #71 is now shipping to gun shops, gunsmiths, and gun enthusiasts across the United States and around the world. In the Big Book #71, you can see new and traditional products. The catalog has the best selection of gun parts, tools, accessories, cleaning supplies, and many other products. They are divided into easy-to-browse sections for your viewing pleasure. 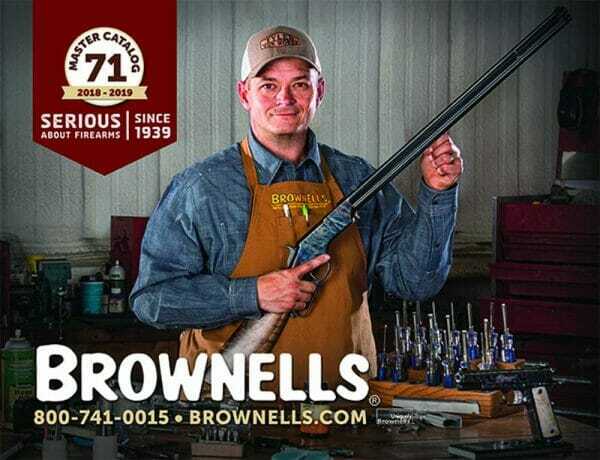 Also, the 608-page catalog is laid out in the famous Brownells’ signature horizontal format. The annual Steppin' Out event in Blacksburg took place on August 10th and 11th in Virginia. On the first day, many curious visitors peacefully attended the event. Virginia Citizens Defense League was and many new members signed up while tons of GSL stickers were handed out. On Saturday, protesters came by and graphic images were displayed for visitors to see. 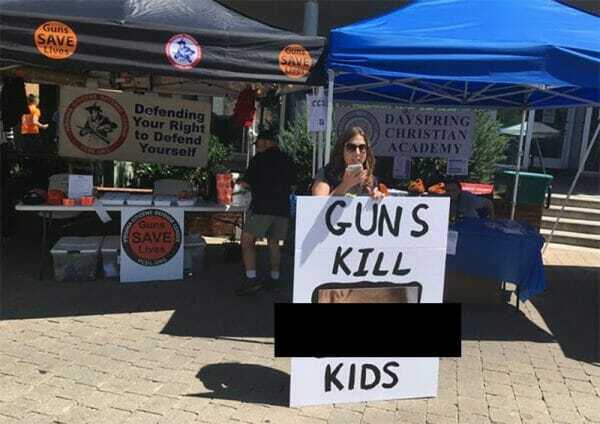 In this image, a citizen protests with a poster saying Guns kill kids. The poster has a large picture of a dead toddler with a bullet hole in the side of his head. Not the most suitable way to protest! Two out of three judges in California have ruled design requirements that no manufacturer can meet. A microstamping rule that applies to newly-introduced semiautomatic pistols and is an unrealistic prerequisite for the commercial sale of constitutionally-protected handguns. The third judge, Jay S. Bybee, a George W. Bush appointee, diverged from the majority’s ruling on the microstamping issue. The National Rifle Association and the Second Amendment Foundation have filed a suit against the city of Edmonds, Washington. In the lawsuit, gun-rights groups claimed that the city of Edmonds violated the state’s preemption law. 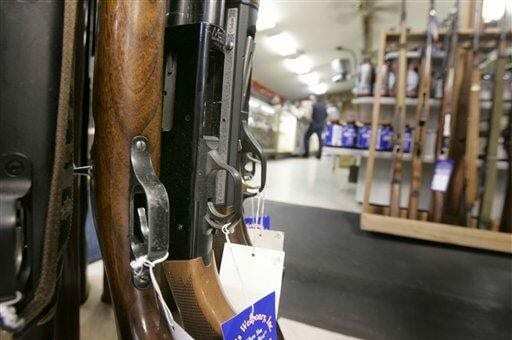 The city has passed an ordinance requiring gun owners to store their firearms. Thus, weapons are locked and inaccessible when the owner isn’t carrying or using them. Gun-rights groups said that the ordinance goes into effect on August 23, 2018. Those who refuse to obey can face up to $10,000 in fines per infraction. A Blue Ribbon Panel on School Safety alerted that Los Angeles schools are not meeting adequate safety measures. 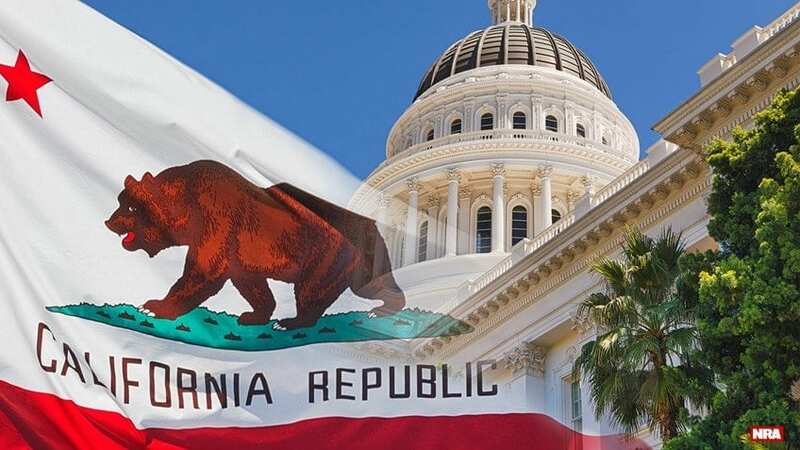 Even though the state of California has strict gun laws, the Los Angeles Unified School District (LAUSD) wasn't able to meet safety measures. Not receiving enough funds to provide mental health services to students is one of the reasons, as well as inconsistency in school safety measures, and inefficient collaboration between schools and public organizations. The panel came up with 33 recommendations. Learn about everything here. A police officer responded in October, 2015 to the home of a woman’s recently deceased father who had called over concerns about the man’s firearm collection. Sean Thomas Banks, 49, who had been with the Marion County Sheriff’s Office for the past five years, is being investigated for thievery. The officer was taken into custody after he told the detectives he had stolen several high-end shotguns, while on duty, to sell. 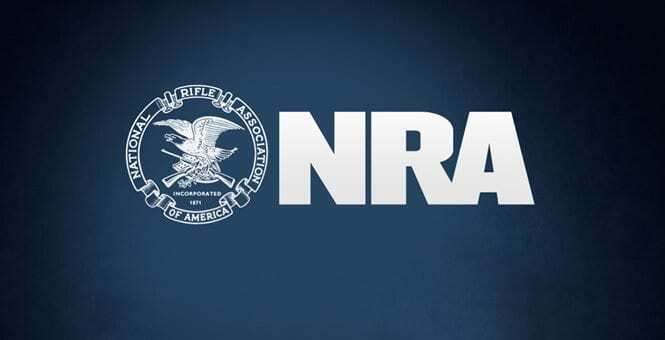 Anti-gunners settled upon the National Rifle Association's (NRA) headquarters in Fairfax, Va. on Saturday for the '"National March on the NRA" event. Some of the conversations led to some funny and contradicting declarations. An anti-gunner didn't exactly know what she was doing when she proudly said "Freedom's Safest Place," the NRA's mantra. Take a look at this and more here. Spike’s Tactical, a Florida-based gun and weapons manufacturer, will begin selling the Spartan AR-15 rifle lower receiver on August 17th. The Spartan lower receiver is the first-of-its-kind to be designed and submitted to the U.S. Patent and Trademark Office (USPTO). It took more than a year to design and develop. It features a Spartan helmet as the AR-15’s magazine well and is compatible with all standard AR-15 lower receiver parts. Your rifle deserves an upgrade, so check our review for the best interchangeable parts for your AR-15 and AR-10. They are both outstanding rifles built on the AR modular platform. As the AR-15 design inspires itself on the older AR-10, you can swap certain parts. In this article, you will understand the differences and similarities between the two rifles and what parts are interchangeable. Get to know our top picks for the best interchangeable parts too. AR-15 lowers are an object of interest among firearm enthusiasts and because accessorizing is as pleasurable as it is buying new guns. In this article, we discuss complete AR-15 lower receivers and their features. 80% receivers differ in price and ease of installation and have specific characteristics. We cover the factors to look for when choosing an AR-15 complete lower as well. To help you make a buying decision, we have some reviews of the best AR-15 complete lowers available on the market.